Local search is one of the fastest growing areas of search engine marketing. Local searches demonstrate local intent and have a ‘where’ element in addition to ‘what’. Local intent can be either explicit such as “hotels in Toronto” or implicit where the product or service is typically consumed locally such as “restaurant” or “dentist”. Search engines take into account the user’s location in their rankings. For example, a search for “dentist” will yield very different results for someone searching in Vancouver than someone in Toronto. Many businesses are starting to embrace local search for lead generation and new customer acquisition. When creating a local search strategy, the following items should be considered. One of the first steps of a local search strategy is identifying which keywords to target. 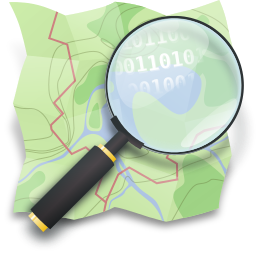 One characteristic of searches with local intent are local modifiers such as city or neighbourhood in the search query. While it may be difficult to rank on the first page for a generic search term, targeting keywords with a local modifier can provide quicker results. Using a keyword tool provides great insight into search volumes and competition for keywords. Since search terms and volumes can vary across a country, keyword research should be done for the targeted area. Once keywords to target have been identified, creating a well optimized website is essential to rank for those keywords. A unique landing page focusing on one common theme should be created for each targeted keyword. Ensuring proper keywords are inserted into key on-page elements such as meta titles and descriptions, headers, images, page content and URLs is a critical factor for strong organic rankings. With a paid search campaign, it is possible to appear on the first page of search engine results within a matter of hours. While ranking on the first page of organic results or local packs requires effort and patience, a paid search campaign can supplement local search until organic and local rankings are established. Paid search can also provide insights into which keywords are generating conversions before focusing SEO efforts on keywords not likely to convert. With the growth of search queries on mobile devices and searches with local intent more likely to be performed on mobile devices, it is extremely important to have a mobile-friendly website. If your website does not have a responsive design and does display properly on a user’s mobile device, chances are they will leave your site immediately. Also, Google recently announced that as of April 21, 2015, they will update their algorithm to include mobile-friendly sites as a ranking factor. Sites not optimized for mobile are expected to see a drop in organic rankings. With your business name, address and phone number (NAP) being displayed across various web profiles, keeping a consistent format will benefit your search rankings. Using different address formats (ie: Street/St.) or phone numbers with and without area code brackets can impact how your business citations across the web are crawled by search engines. Understanding local searches are more likely to call or visit, it is also important to have your NAP clearly visible on your website. Making it easier for visitors to find or contact you can increase leads and ultimately conversions. Many searches with local intent will have a “local pack” of business listings with pinned map locations in the search results. With Google, these listings are pulled from relevant Google My Business profiles while Bing Places for Business profiles appear in Bing search results. Claiming your profile with Google My Business and Bing Places are essential to any local search strategy. With a well optimized profile, your company can appear on the first page despite not appearing in the paid or organic results. Creating additional profiles on other directories such as Yelp or Yellow Pages can also help generate more calls or traffic to your website. By searching keywords you wish to target, additional directories with strong rankings can be identified and leveraged. People searching on these directories are actively seeking a business and being found in these directories can help increase referral traffic. Another benefit of submitting your business to directories is that a link to your website is included in many cases. Inbound links from relevant and authoritative sites can also improve SEO and boost your organic rankings. Just as inbound links are a factor in organic rankings, reviews are an important factor in local search results. Google and Bing include reviews from Google+ and Yelp respectively in their search results with quantity and quality being a strong ranking factor. Reviews also play an important role with potential customers who are researching companies. Getting customers to submit reviews can be challenging especially with Yelp as their policy does not allow you to explicitly ask customers to submit a review. Making your profiles clearly visible on your website or gently reminding customers about your profile in an email can make it easier and encourage customer to submit a review. With a strong local search strategy, it is possible for a business to appear multiple times on the first page of search engine results. Having greater visibility can help increase traffic and ultimately leads and new customers. A single question: Can The Yahoo! 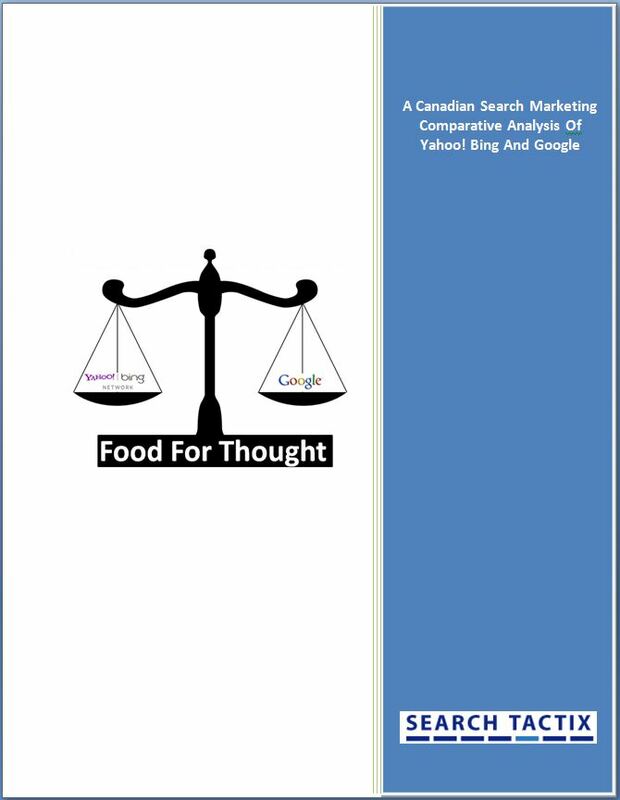 Bing Network provide a viable competitive offering with reach efficiencies within the Canadian search marketing landscape? On strategy, on point and on time. No matter who the prospect or what the metric, Search Tactix Inc. delivers traffic, leads and conversions through strategic initiatives specifically targeted to meet client needs with every paid search advertising campaign. With over 30 years collective marketing and advertising experience, and 12 devoted specifically to online marketing, Search Tactix Inc. provides value through insight and through experience, providing corporations the means and the peace of mind in accessing the valuable online demographic through all points of contact. With clients focused on local market, national market and international markets, Search Tactix Inc. delivers proven results against measurable paid search advertising objectives. Search Tactix Inc. offers a broad range of client and service capabilities including but not limited to Paid Search Advertising, Search Engine Optimization, Buzz Marketing Strategies & Initiatives, Copywriting and Analytics with services available in both English and French. Online advertising agency Search Tactix Inc. is located in Toronto and we invite clients and prospects alike to cross borders and datelines with us.